SAMURAI (SJ) 1.0 4X4 (SJ 410) 970 cc 45 HP 33 1988-11-01 - 2004-12-01 F10A 7102305. SAMURAI (SJ) 1.0 4X4 (SJ 410) 970 cc 45 HP 33 kW 1988-11-01 - 2004-12-01 F10A 7102305. SAMURAI (SJ) 1.3 4X4 (SJ 413) 1324 cc 60 HP 44 kW 1988-11-01 - 2004-12-01 G13A 7102315. 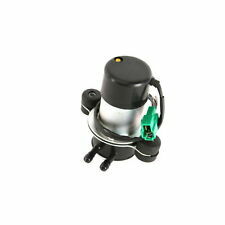 Fuel Pump fits SUZUKI SJ410 1.0 81 to 88 F10A QH 1510080000. SUZUKI 1510080000. Function Fuel Pump. NIPPARTS J1608008. model: Spain. MOTAQUIP VFP107. SUZUKI SJ 410 1.0 (SJ410) 09/1981 -. SUZUKI 1510080000. SUZUKI 1510080000000. SUZUKI 151008000VXNA. Will this item fit your vehicle?. Give us your trust and we'll help you to repair or update your car! Suzuki Sierra SJ40 SJ410V 1.0L 4 cyl, CA, F10A, 8V, SOHC, N/Turbo, 4WD, 01/1981-01/1988. Suzuki Maruti MG410N 1.0L 4 cyl, CA, F10A, 8V, SOHC, N/Turbo, 4WD, 01/1989-01/1993. 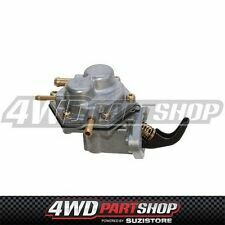 Suzuki Maruti MG410W 1.0L 4 cyl, CA, F10A, 8V, SOHC, N/Turbo, 4WD, 01/1993-01/2000. The item you are viewing is a DriveTech 025-000019 fuel pump for Suzuki Sierra SJ40 1.0L F10A SUZUKI SIERRA SJ40 SJ410 1.0L F10A [01/81 - 12/88]. DriveTech 4x4 Part #: 025-000019. We are not robots or warehouse pickers. Suzuki 15100-8000V-XNA, 15110-80000, 1510080000, 15100-D80000. Suzuki SJ 410 1.0 1.0 L / 0970 cc 1981.09 - 1988.12 33 Kw / 45 HP. Suzuki SJ 410 Cabrio (OS) 1.0 1.0 L / 0970 cc 1981.09 - 1988.12 33 Kw / 45 HP. OTHER PART NUMBERS Money back. Warranty Provided 12 Months. Part Manufacturer:ENGITECH ENT100041. HONDA CIVIC I sedan (SF) SALOON 1300 S 71 HP EN4 1979.10-1984.12. HONDA CIVIC I sedan (SF) SALOON 1300 L 60 HP EN1 1980.09-1983.09. HONDA CIVIC I sedan (SF) SALOON 1300 L 45 HP EN2 1980.09-1983.09. Will this item fit your vehicle?. Use engines info and vehicle YMM compatibility chart for general guide. Strictly important to provide VIN along with your detailed request since there can be different options for your car specific tech characteristics. Suzuki SAMURAI (SJ 410) 1.0 (SJ410) 33KW 45HP 1981.09 - 1988.12. Suzuki SAMURAI (SJ) 1.0 NapÄd na 4 koĹa (SJ 410) 33KW 45HP 1988.11 - 2004.12. Suzuki SAMURAI Cabrio (SJ 410 ) 1.0 (SJ410) 33KW 45HP 1981.09 - 1988.12. CIVIC III Hatchback (AL, AJ, AG, AH) 1.3 (AG) 1342 cc 71 HP 52 kW 1983-10-01 - 1987-10-01 EV2 7100414. RASCAL Bus 1.0 970 cc 46 HP 34 kW 1986-07-01 - 1990-06-01 FA10A —. CIVIC IV Hatchback (EC, ED, EE) 1.3 16 V (EC8) KAT 1343 cc 75 HP 55 kW 1989-09-01 - 1991-09-01 D13B2 7100451. 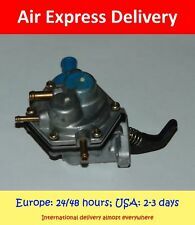 Fuel Pump QFP272 Quinton Hazell. Part Number QFP272. SUZUKI 1510080000. Function Fuel Pump. SAMURAI (SJ) 1.3 4X4 (SJ 413) 1324 cc 60 HP 44 kW 1988-11-01 - 2004-12-01 G13A 7102315. SAMURAI (SJ) 1.3 4X4 (SJ 413) 1298 cc 70 HP 51 kW 1988-11-01 - 2004-12-01 G13BA 7102321, 7102340, 7612300, 7612301, 7612318, 7612319. RASCAL Bus 1.0 970 cc 46 HP 34 kW 1986-07-01 - 1990-06-01 FA10A —. CIVIC III Hatchback (AL, AJ, AG, AH) 1.3 (AG) 1342 cc 71 HP 52 kW 1983-10-01 - 1987-10-01 EV2 7100414. CIVIC IV Hatchback (EC, ED, EE) 1.3 16 V (EC8) KAT 1343 cc 75 HP 55 kW 1989-09-01 - 1991-09-01 D13B2 7100451. BLUEBIRD Hatchback (T72, T12) 1.6 1598 cc 83 HP 61 kW 1986-03-01 - 1990-06-01 CA16S —. BLUEBIRD Hatchback (T72, T12) 1.6 1598 cc 90 HP 66 kW 1986-03-01 - 1991-06-01 CA16S —. RASCAL Bus 1.0 970 cc 46 HP 34 kW 1986-07-01 - 1990-06-01 FA10A —. Equivalent to part number We will always attempt to rectify the issue as fast as possible! We just want you and your car to be happy! You'll have the part ASAP. Eg, Vetech, Erst Klassig, Franzen, NK, etc. RASCAL Bus 1.0 970 cc 46 HP 34 kW 1986-07-01 - 1990-06-01 FA10A —. SPARCAR Bus (S7_) 0.8 843 cc 39 HP 29 kW 1983-09-01 - 1986-05-01 CD —. SPARCAR Bus (S7_) 1.0 993 cc 45 HP 33 kW 1983-09-01 - 1986-05-01 CB —.